equipment with fully integrated inflatable protectors for BMW Motorrad. The first product to emerge from the cooperation will be the DoubleR RaceAir one-piece leather suit with D-Air racing protectors, designed exclusively for use on racetracks. 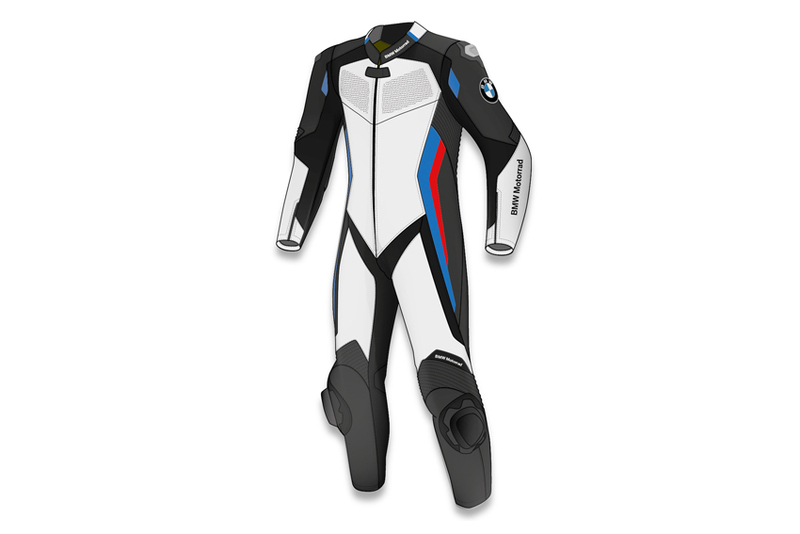 The racing suit is scheduled to be presented at the International EICMA Motorcycle Show in Milan this November, once BMW Motorrad has completed all the required testing in Munich. The next stage will be to develop the Dainese D-Air Street System as a retrofit solution for BMW Motorrad. The system is scheduled to be launched in 2015, following successful completion of all the crash tests. BMW Motorrad customers will then be able to retrofit an innovative safety system to their motorcycles. BMW Motorrad is the only motorcycle manufacturer to have developed the complete range of rider equipment ever since the 1970s - from motorcycle helmets to rider suits, boots and gloves. In doing so, high priority is attached to maximum comfort for the rider as well as minimising the potential consequences of accidents. In addition to the NP protectors for motorcycle suits developed by BMW Motorrad as well as safety-optimised boots and gloves, the Neck Brace System introduced in 2007 also contributes to the safety system. The ABS pioneer BMW Motorrad has always regarded motorcycling and safety as being inseparably linked and anchored in the 'Safety 360°' principle. 'Safety 360°' breaks down the overall concept of safe motorcycling into three facets - safety technology in the vehicle, safety deriving from rider equipment and safety through rider training. Having maintained its leading role for decades when it comes to active and passive motorcycling safety, BMW is now extending this position further through its long-term collaboration with Dainese.